This like-new 3-bedroom home in Heritage Park offers a friendly neighborhood just ten minutes to town. With close proximity to the Christian Heritage School and access to hiking trails, cross country skiing, and sledding hills in the winter, Heritage Park offers a peaceful location and great community. The quiet location, landscaped with crab apple, aspens, pines, and cottonwoods, offers the addition of a storage shed and a private back yard perfect for summer evenings outside. 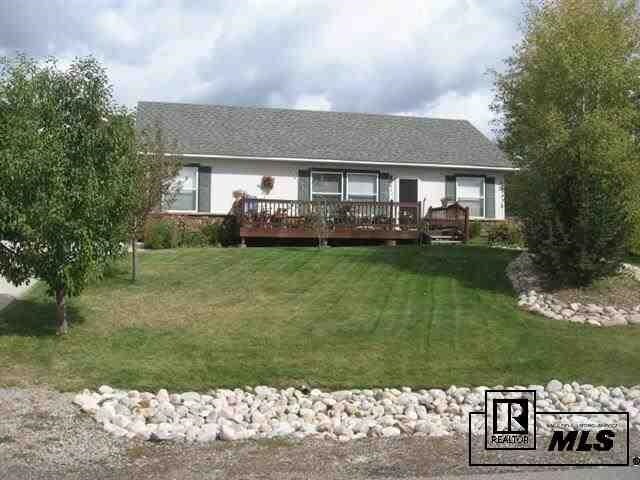 Out front, the deck accesses a large and meticulously maintained front yard. Enjoy an open floorplan with abundant natural lighting, a spacious kitchen with newer appliances and granite counters, a dining room with a sliding glass door accessing the backyard, and a spacious living room that is the central point for the three bedrooms. Well-appointed master suite. Carefully maintained both inside and out, this home is a great find!